Ah, the aioli. Growing up in France there are so many memories of eating traditional aioli in the summer at my grandparents’ house in Provence. I shared the original recipe on Laylita.com a few years ago, and the plant-based version of the sauce here. 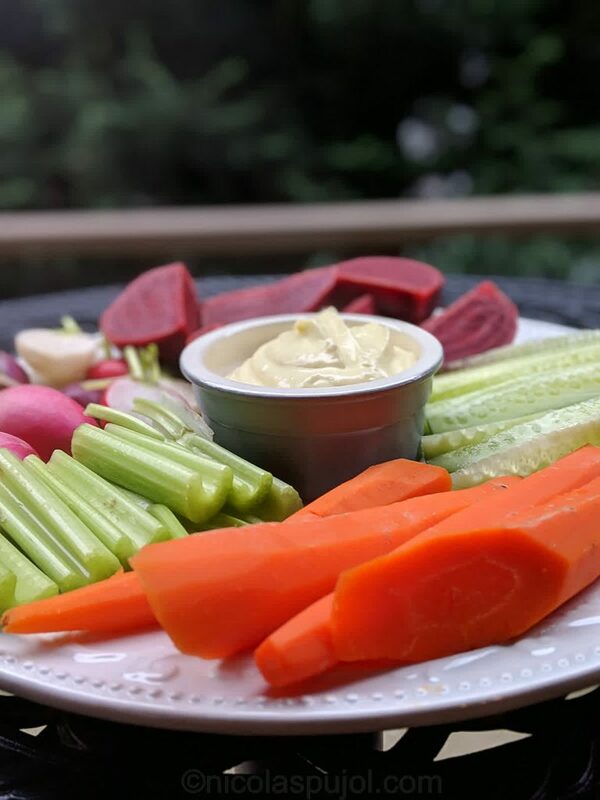 This colorful vegan aioli platter recipe uses the plant-based aioli sauce using aquafaba, oil and lemon with a mix of steamed vegetables and raw crudités. If you’ve been reading the current themes of this blog, we are trying to fine tune nutrition while keeping dishes simple, something anyone can make at home. And it should taste pretty good, because we are able to adapt our taste preferences over time (for example, gradually reducing salt to the point we don’t notice anymore when it’s missing), or because it just tastes good as it is. 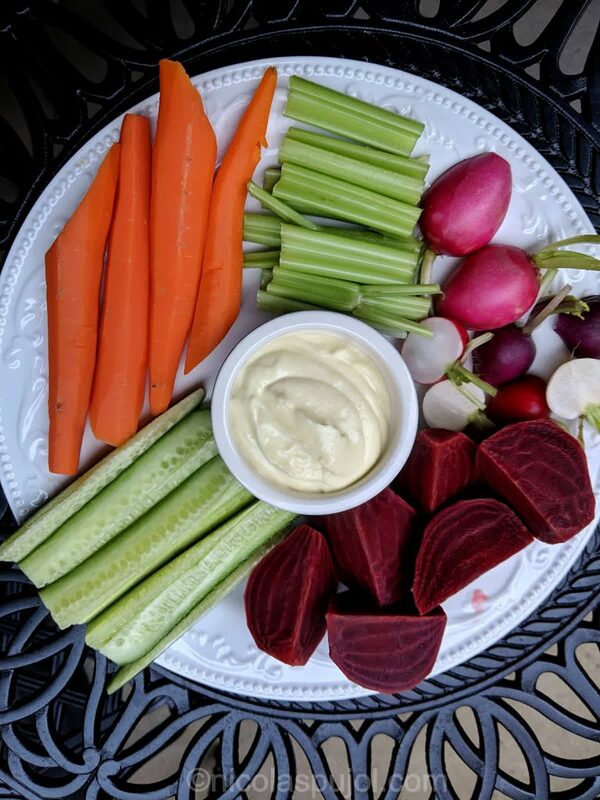 For this platter, we picked some wonderful fresh vegetables at the local grocery store: cucumber, radishes (we used the greens separately to make a natto salad), celery, carrots, and beets (also used the greens separately to make a beet greens salad). 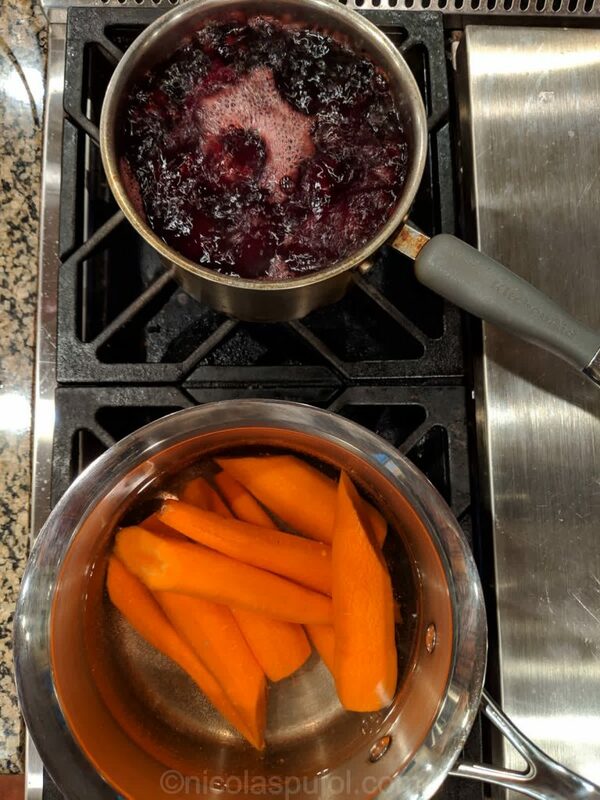 When steaming the beets and carrots, the main point of attention was to cook them separately, so that carrots would not end up the same color as beets. 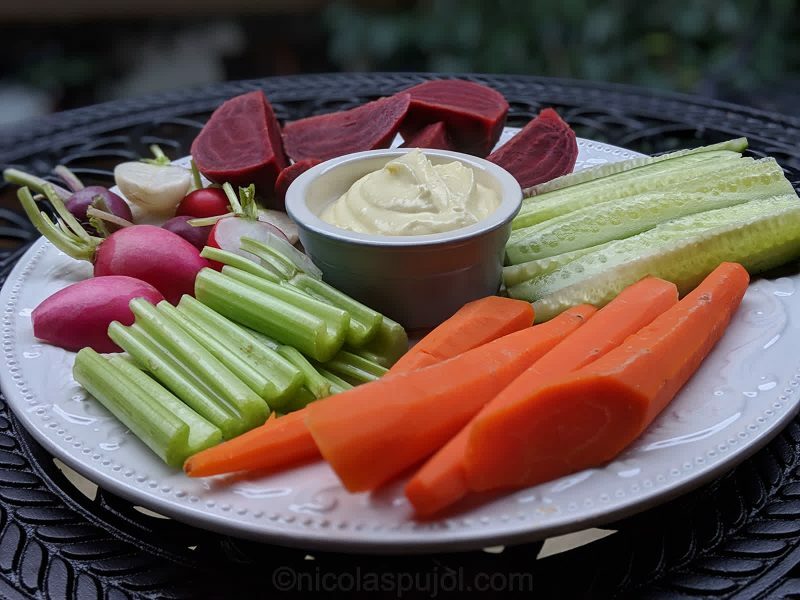 Vegetables which are not cooked are known as crudités. 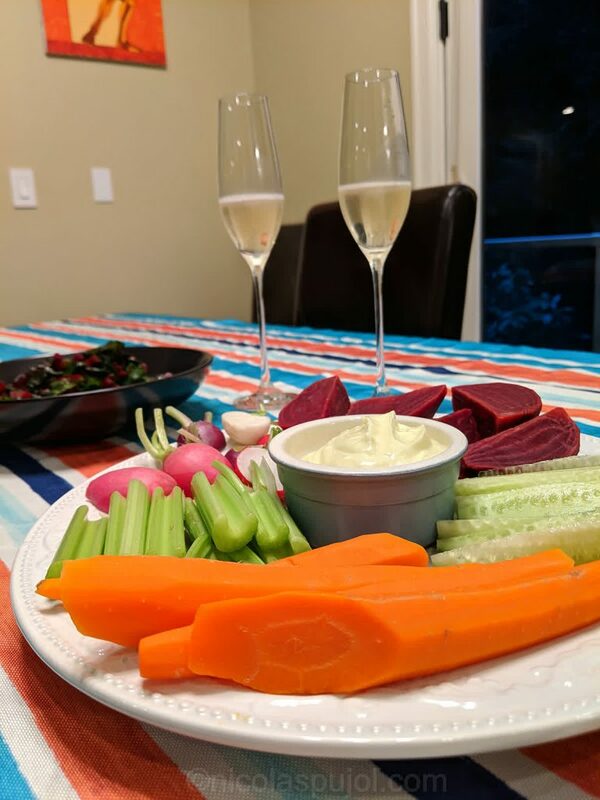 In French, cru means raw, and crudité usually refers to small raw vegetables, or even cornichons and pickled onions can be referred to as such. In other words, if it’s steamed it’s not a crudité. 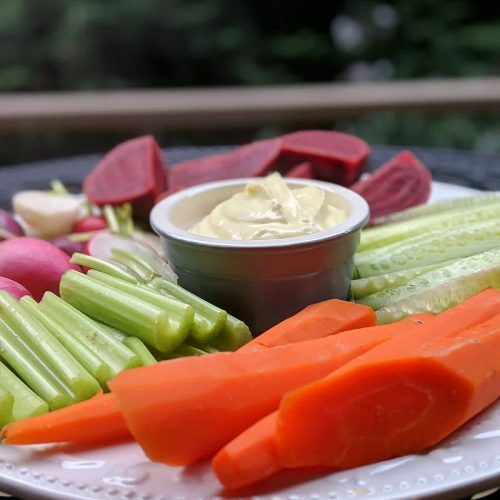 Colorful veggie platter full of vitamins and micro-nutrients. This platter can make for a very light meal for two, which you can complement with a little bit of whole grain bread or complex carbohydrate of your choice. The sauce does have oil, so remember to go easy on it, even if it tastes so good. We only live once, so we paired it on a date night at home with a cup of champagne. It could be an idea for a vegan Valentine’s Day, or any other day of the year to celebrate. 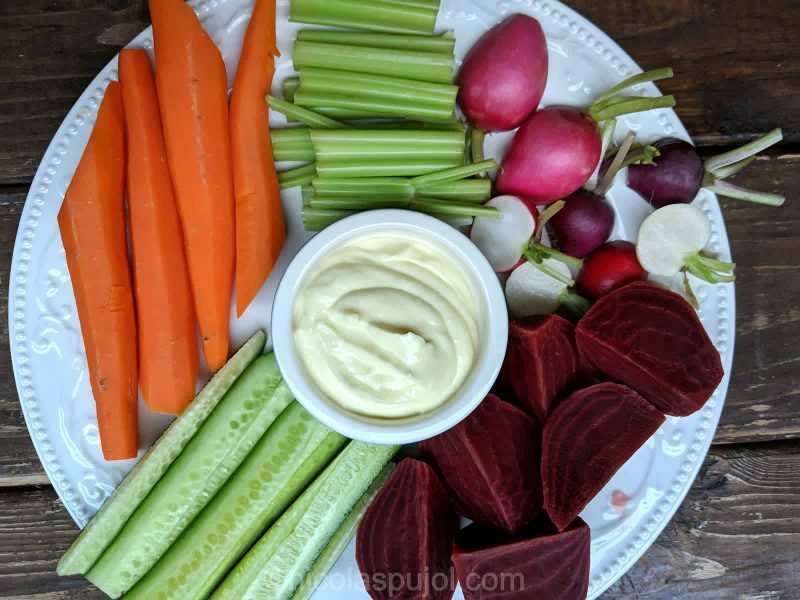 This colorful vegan aioli platter recipe uses the plant-based aioli sauce using aquafaba, oil and lemon with a mix of steamed vegetables and raw crudités. Place water in two large pans and put them to boil. Make the vegan aioli sauce. Peel the carrots. Cut them in 2 or 3, then put them to cook in the first pan. Do the same with beets, cutting them smaller as beets tend to cook more slowly otherwise, in the second pan. Leave them about 15 minutes on medium heat. Rinse and slice the celery, radishes and cucumber, then start laying them out on a large plate with the aioli sauce in the center. Once cooked, remove the carrots from the water. (optional: rinse and steam the beet greens in this water, since it is already boiling and available to you. 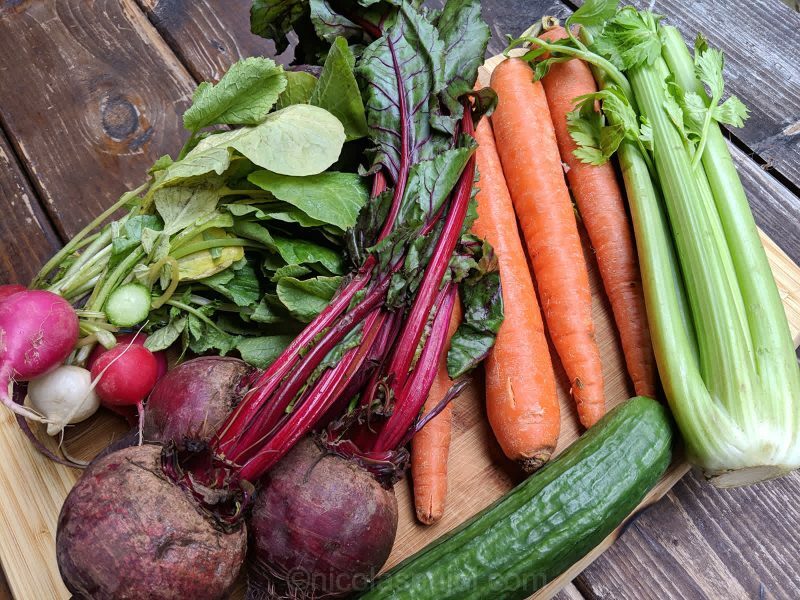 You can then use these beet greens to make a salad). Strain the beets and run a bit of cold water over them before placing them on the main platter. Do the same for carrots if they are still too hot. Serve immediately, optionally with the beet greens salad you made along the way. Calorie count only measures the vegetables and does not include the sauce. 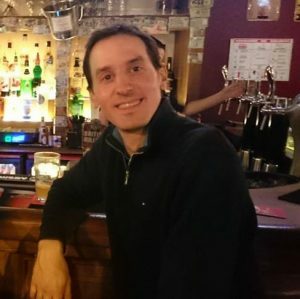 See vegan aioli sauce recipe for energy estimates.